What would trigger an M1 to M2 upgrade? Magento are having a content renaissance – a “content explosion”; Kalen buys Bitcoin. This is episode one fiftyyy twooo! Kalen predicted Bitcoin would reach 10k within 2 years and he was right, it happened significantly faster than that too! Unfortunately, now he and Phillip can’t find their Bitcoins and it’s all so complicated. We hear a past clip from Kalen talking about how Honduras planned to secure land titles on the Bitcoin blockchain. 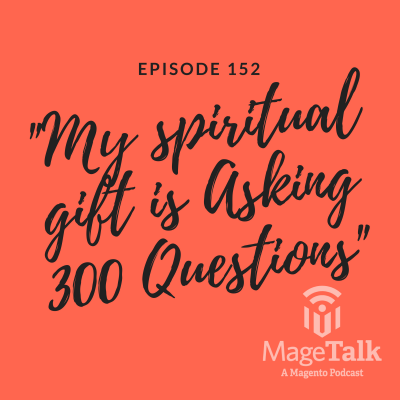 The guys are taking the MageTalk content seriously and so the feed has been updated, every episode is going to have its own album artwork, there is a “New Around Here?” category that has the top 5 episodes along with a new post series called Community Favs where MageTalk fans can share their five favourite episodes. Podcasts now have transcripts thanks to Mallory Triana & show notes thanks to Becky Brocton! She was Rebecca Troth, then she was Rebecca Brocton and now she is Becky Brocton – getting better with every rebrand. Becky, TJ Gamble, Magento & others have been creating more and more content for consumption. The latest video on the Magento channel has the RJ Metrics team written all over it. If Phillip & Kalen were to do it all over again, would they have just done a YouTube channel? Are podcasts mainstream or is it all about video? Kalen gives props to Phillip for his extremely interview on FutureCommerce Episode 49 with Ambassador Daniel Sepulveda. Is there an argument both for and against net neutrality on behalf of a merchant? What does it mean for smaller retailers? Amazon getting preferential treatment and expanding their dominance could seriously affect all online retailers. It’s already not easy to be a retailer, they don’t need another barrier in front of consumers. Kalen & Phillip discuss Shopify allegedly fudging their numbers and the discrepancies in the numbers from their Black Friday sales. Kalen is going to be interviewed for the eCommerce Fuel podcast. eCommerce Fuel is a Private Community for 6 & 7 Figure Store Owners that is sponsored by Shopify. For those looking to migrate from Magento 1, what is the advice for them? You aren’t going to be forced off the platform, the stated date that support will end is November 2020. 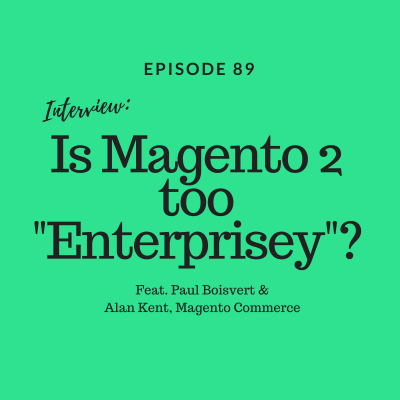 The guys discuss the benefits of Magento 2 including content scheduling, Bluefoot & B2B along with how you can show those looking to migrate what’s there, what’s coming and how they can justify the move. Where is the tipping point? We hope you had a really great Black Friday & Cyber Monday! Everyone focuses on the jobs lost to self driving cars. What about the billions (trillions?) of man hours freed up to productive use? Imagine all the possibilities that can enable. Community Effort! Help us improve! RJ Metrics, Salesforce Acquisitions, Alan Storm has a Tumblr, and more. Magento acquires RJ Metrics, an analytics / big data startup from Philadelphia. Phillip waxes poetic that a vast community of listeners never engage on social or leave reviews on iTunes. Also, Kalen’s audio sounds bad. 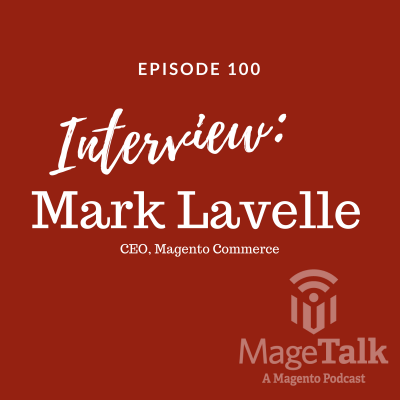 The guys sit down with longtime Magento developer Daniel Kenney to talk about first-impressions with Magento 2, community news, freelancing and more. 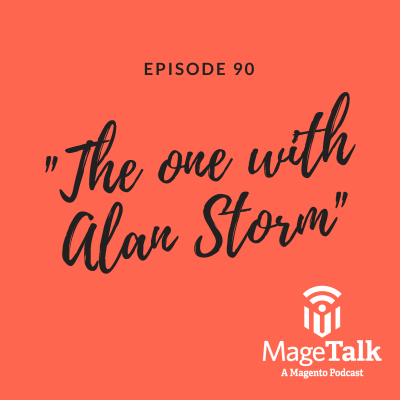 In part 1 of 2, the guys review the happenings at the 2016 edition of Magento’s annual conference in Las Vegas, Magento Imagine which include the community spotlight program, Magento Masters, the marketing push “Road to Imagine” and the surprise announcement of Magento Enterprise Cloud. "Road to Imagine" week begins today with a special interview with Yoav Kutner and Dima Soroka of Oro. THE LOST EPISODE! EPISODE 66! The inimitable Phillip Jackson and Kalen Jordan missed each other and talk about it. A lot.